127 PRINCE | On the art of social practice and the social practice of art. On the art of social practice and the social practice of art. Chelsea Haines: Tell me a little bit about how the Waffle Shop originated. I went to graduate school at the California College of Arts and Crafts (1991-93) while Suzanne Lacy was teaching there and she had a powerful presence on campus. I studied with her and Larry Sultan, who was my mentor and later collaborator as well. At the time, I was really interested in exploring the flexible nature of telling true stories and Larry was really informative about that. He was publishing a book about his parents, called Pictures from Home, and while it seemed like a kind of biographical account of his family it was really a transparent projection of his own fears and desires. The book had several quotes from his parents about how they felt – Larry was manipulating and staging their identities and they didn’t feel at all like the people that were depicted in the photographs. Obviously, including their contradictions to his images created a more complex way to look at portraiture and biography. Larry and I had a lot of talks about the ethics of staging what seemed like true stories, and watching him and Suzanne and seeing how highly orchestrated their projects was actually very liberating and exciting to me at the time. By the time of the exhibition’s opening, the portion of the site focusing on the task force report had already been live for some time. But during the weeks leading up to the exhibition, we shifted into more of a post-production stage as opposed to the previous stage of field work. I assembled a team of 10 undergraduate film students to edit the interviews. They were directed towards editing short topical segments rather then a linear edit of the conversation. Thematic connections between the different portions of conversation were then linked together through the site. The curating of the material took place by prioritizing certain thematic points over others. Cat’s interview was central to how the interviews were curated. For most people, the experience of daily life within urban and suburban space is divided between work and consumption. Within this dichotomy, culture is experienced as something to be consumed, a customer-server relationship. From this emerges a customer-server dynamic, our contemporary notion of leisure and the culture industries that service such an experience. In Geography of Nowhere, Kunster critiques Disney’s Tomorrowland as a vision of the future where the meaning of life is endless leisure, a notion of culture that is bought and sold and very carefully managed through the organizing principles of people’s time and perceived agency. There are two kinds of costs that capital doesn’t want to bear: environmental degradation & social reproduction (who raises children, cares for the sick, etc). At the end of our time together, Bob offered me a glass of water and another chocolate. Between the interview with Bob and the meetings with the current outreach staff, it became clear that Catherine Steele was central to understanding Outreach. Establishing contact and arranging a meeting time with Catherine proved to be much slower then any of the other interviews or meetings – after roughly six weeks of correspondence, we managed to set a time to meet. On my way to her house I suspected it would be an important encounter but I didn’t understand how it would help tease out the many narratives and layers of meaning inherent to outreach and the current situation. When Catherine was a teenager she had the opportunity to live in Mexico for one year. She spent the year working with an organization (comparable to the Peace Corp) whose main project was to help deal with a rat infestation in a series of villages located along a valley. Over the course of a year, she befriended a group of girls her age and the group of them began a grassroots library project: traveling between village delivering boxes of books and informational pamphlets. After returning to the U.S., she dropped in and out of university, hitchhiking across the Southwest and Southeast, and eventually completely a degree in Spanish. Within a couple weeks of finishing her studies, Catherine met a librarian and the encounter reminded her of her side project in Mexico. Soon after, Catherine decided to attend UCLA to study library sciences. During her studies, she met a librarian working out of Venice Beach who transferred his desk assignment to his assistant and started walking out into the neighborhoods, noticing all the people working on cars. Statistically, people living in the neighborhood had three to four cars, but in practice most people were piecing together one working car out of a collection of broken cars. So, the librarian started walking out into the neighborhoods with crates of auto manuals, handing them out to the folks working on the cars. Initially, we began doing research on land-use politics of the Santa Cruz region. This involved secondary research of local history archives – reading books, newspapers, maps, and photos. During this period, we were very open-ended and didn’t know exactly where things were headed. The particulars of Santa Cruz’s political history involve a coalition of socialist-feminists, socialist-welfare, and environmentalists who found common ground surrounding issues of neighborhood environmental justice. There has been fighting within this coalition between those that hold a zero-growth position, opposing any and all development, and those that are open to select development projects, protecting revenue and jobs. In the late 1970s, the coalition won two of the seven seats on the city council. Within five years they would have all seven seats, temporarily dismantling the growth coalition that had many plans for developing the region to mirror southern California’s suburban sprawl. It is during this period that members of the coalition are credited for getting more land protected under their grant-writing then any other individuals in the history of the US. California agriculture –a $36-billion-a-year industry  – became a critical political device in helping to establish an anti-development direction for the area that could simultaneously provide jobs and food security for the region. The coalition crafted tax laws to make land affordable for farmers and subsidized the cost of agricultural water. We targeted neighborhoods that have community gardens and began walking along the streets, interviewing people we encountered. The interviews were recorded as audio files and later transcribed, along with photos. Eventually, we made postcards for a number of interviews and redistributed them into the neighborhoods where the interviews took place. The postcards directed people to a webpage on the Circulation of Knowledge archive website where they could listen or read the interviews that happened in their neighborhood. Additional material from the secondary research was also made available on the website. Walking around the neighborhoods eventually led us to collaborate with one of the smaller neighborhood branches of the Santa Cruz county library system – the Garfield Park Public Library. The Garfield branch is one of the older libraries in the area; it was built with a $3,000 grant from the Carnegie Corporation in 1914 and opened its doors in July 1915. We spent a week in the one-room library, documenting patrons reading and studying. 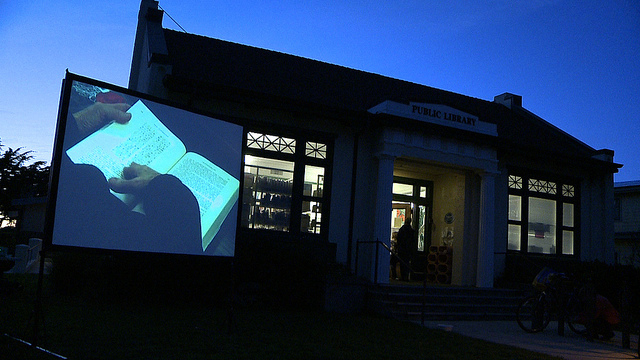 Next, we installed a video projector and screen outside on the front lawn, showing the footage. While some might read the piece as being about surveillance, I was thinking more about bringing the hidden into view –about the dynamic relationship between patrons and textual practices, and about the library as system and civic institution that offers a set of conditions for negotiating knowledge. During the installation, we had conversations with the librarians, library staff, and patrons about the current state of the Santa Cruz county library system and more general conversations about the shifting role and function of public libraries. It was while working at the Garfield Branch that my theoretical focus shifted from questions of land-use politics to questions of cultural and civic infrastructure. 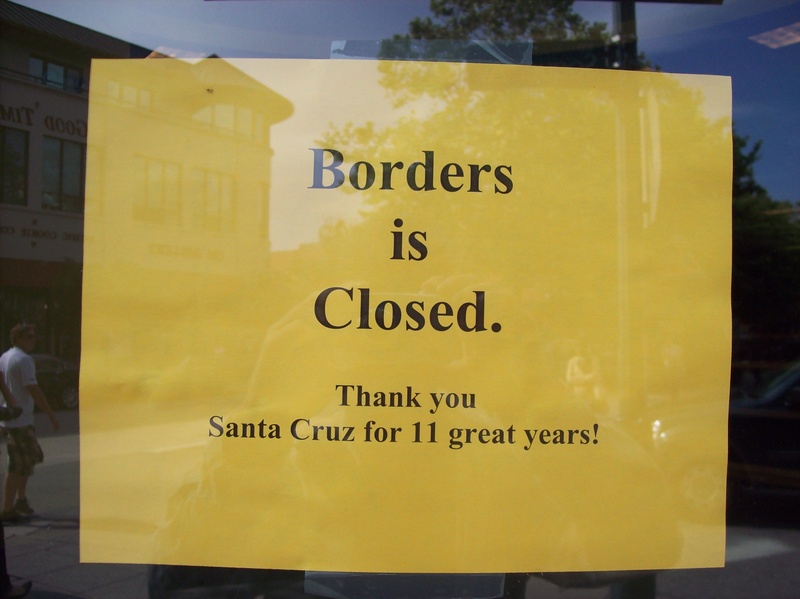 It turns out that, for the past several decades, the Santa Cruz county library system has gone through a five-to-seven-year cycle of political and economic battles. In 2005, a series of plans to cut services and small branches was released. There was enough public outrage at the time that the board actually pushed in the other direction and voted to make it a cornerstone of their policy to never close branches. Like clockwork, almost exactly six years later and in the middle of our collaboration with outreach, another such moment of political, ostensibly budgetary, tension arose. 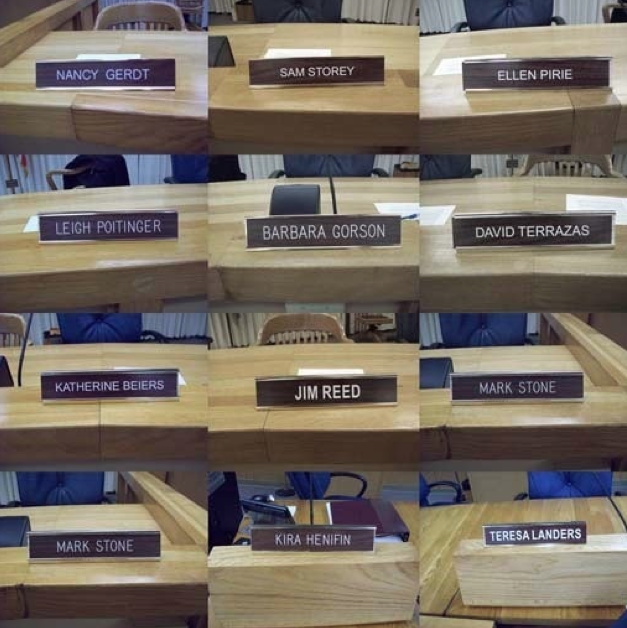 A year and a half earlier, the board commissioned a task force with the job of developing several financially sustainable models for the library. In early February of 2011, the report was released – of the four options, two involved closing smaller neighborhood branches. 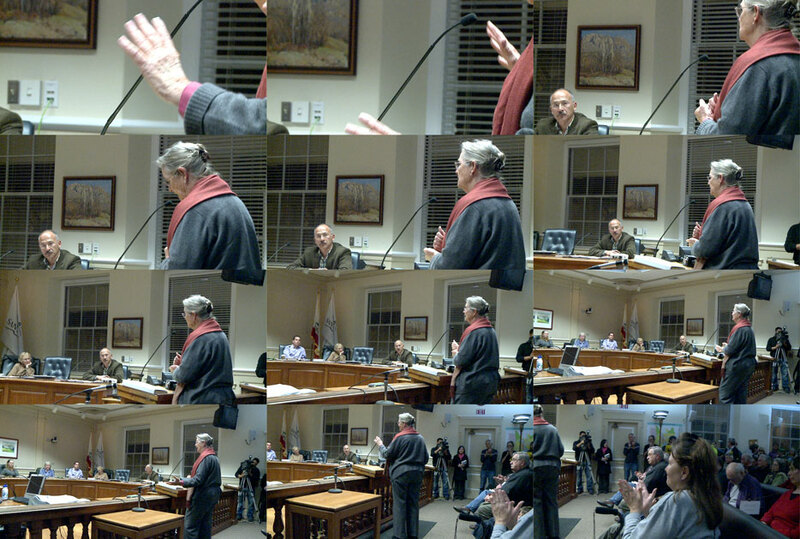 Very quickly community organizers rallied their neighborhoods and what followed was a series of impassioned public hearings with hundreds of concerned citizens expressing their thoughts and feelings. 127 Prince is a new journal named after the location of artist Gordon Matta-Clark’s 1971 restaurant FOOD. Like FOOD, 127 Prince hopes to function as a site for conversation. The journal will present and examine ideas on the art of social practice, and the social practice of art. The national (US) editorial board is comprised of founding editors Ted Purves (Oakland, CA), Randall Szott (Oak Park, IL), Jen Delos Reyes (Portland, OR), and Tracy Candido (Brooklyn, NY); the managing editor is Nancy Zastudil (Taos, NM). INTRODUCTIONS to 127 Prince by founding editors. Bureau for Open Culture is a guest contributor this month!